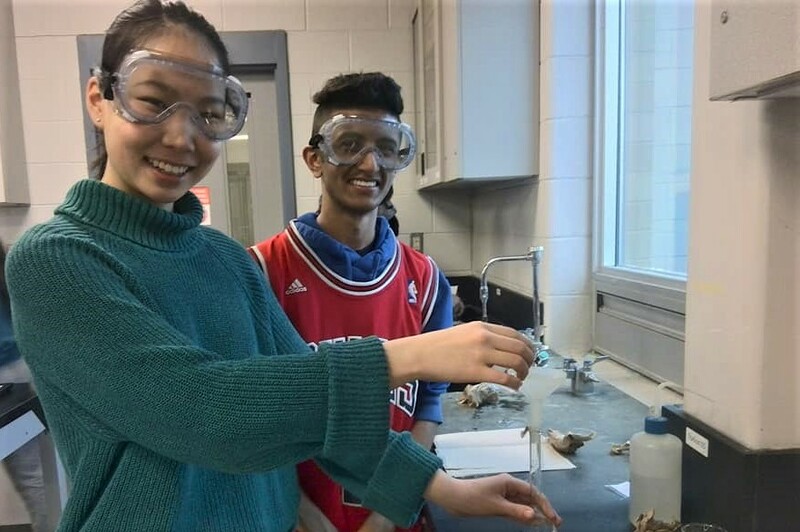 The grade 12 chemistry students experimented with aqueous and varsol solutions. They examined equilibrium reactions by applying stresses to the solution and measuring the resulting distribution of liquids. The observations from this experiment were then explained using knowledge of Le Chatelier’s principle.